THE LIFE AND DEATH OF TOYO HARADA #1-6 Pre-Order Bundle Puts the Most Powerful Man on the Planet to the Spotlight This March! 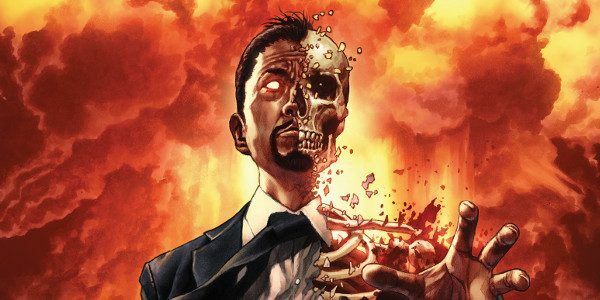 Valiant is excited to announce that THE LIFE AND DEATH OF TOYO HARADA – the much-anticipated limited series by Eisner Award-nominated writer Joshua Dysart (HARBINGER, HARBINGER WARS) and a lineup of all-star artists – including CAFU (RAI), Mico Suayan (BLOODSHOT SALVATION), Butch Guice (Captain America), Adam Pollina (SECRET WEAPONS), Diego Yapur (Priest: Purgatory), Kano (QUANTUM AND WOODY! ), and Doug Braithwaite (INCURSION) – is available to pre-order now at comic book stores everywhere in advance of its March 13, 2019 premiere date!